Dayne Lynn, a young Lloyds Bank employee from Scotland, was convicted at the start of 2019 for stealing $AUD140,000 from his customers’ accounts after he was blackmailed by criminals he met on the dark web. The crimes began when Mr Lynn joined an internet chat forum and made the mistake of revealing he worked at Lloyds Bank in Glasgow. Mr Lynn was working as a member of a team that investigates fraudulent payments and transfers, where he had access to the accounts of many bank customers. It wasn’t long before a group of criminals on the dark web forum ordered him to steal from accounts and transfer the money to them. On July 18, 2016, between 7:45 a.m. and 9:30 a.m. Lynn accessed almost 20 customer accounts and took tens of thousands of pounds, overcoming bank transfer restrictions using his Lloyds Bank employee credentials to access the accounts. The bank reversed all of the stolen money, however the identity of the culprit couldn’t be established for over a year and Mr Lynn and his dark web associates almost got away with the crime. The theft could have been averted if the bank had used Signal. Signal constantly monitors dark web traffic and simple search terms such as Lloyds Bank, banker or bank accounts might have allowed the bank to stop its staffer before he went down the road of fraud. The time it takes Signal security intelligence to identify a potential breach being arranged on the dark web: minutes. Australian and New Zealand banks, institutions, businesses, hospitals and ASX/NZX-listed companies can all receive early indicators so you can be proactive about security and not caught off guard. a third of the data breaches are financial details and a third health information. Signal is an extremely user-friendly app and can be used by any staff members with minimal training. Simply put in the search terms you feel your institution needs to monitor; Signal’s easy interface then provides alerts when what you’re looking out for appears online. Signal parses through millions of postings and conversations to recognise questionable behaviour. Signal does all the heavy lifting, trawling the internet and sending you proactive alerts so that you hear about risks first – not 196 days later. Data breach study author Larry Ponemon estimated a business is more likely to experience a data breach of 10,000 records than a person is to catch the flu over winter. Don’t let a failure to watch the web cost your company. When Nur Islam became frustrated over a routine withdrawal at a Commonwealth Bank branch in Melbourne on November 18 2016, he poured petrol onto the carpet and set the building on fire, injuring himself and dozens of others. The $2.5 million building in Springvale was soon destroyed. Some of the first alerts to Commonwealth Bank’s staff, executives, owners, patrons and passers-by came from social media posts and ‘What we know so far’-style updates from online newspapers, full of urgent bits of information. Lives were irreversibly changed that day; millions of dollars in insurance had to be paid out; injured staff had to be compensated and healed. Commonwealth Bank also had to protect customers’ sensitive information while ensuring communications around the attack were accurate and helpful. Part of Signal’s job is to aggregate online notifications around threats to buildings and the staff inside which affect business and personal safety in various ways. • Fire and weather emergencies that might spill over into my building. Signal lets users with large assets, distributed workforces and global reach especially large corporations and top banks in Australia, NZ and the US, pre-empt, prevent and develop strategic responses to emerging situations. Signal lets you monitor everything affecting your organisation’s real and potential crises, staff safety, supply chain, fraud risks, cyber security and reputation – not to mention threats to your buildings whether from humans or hurricanes. Signal has a global customer base that includes major corporations across finance, retail, pharmaceutical, and technology industries who utilize Signal to stay aware of potential threats to safety and security. In Australia and New Zealand, Signal uses heightened situational awareness and real-time intelligence to monitor, gather, and analyse potential risks then make informed decisions to speed incident response time while reducing overhead costs. The article and supporting infographic provide a good summary of the various ‘layers’ of the Internet and how they can be accessed. Understanding that, by its very nature, the Dark Web is the place to lurk out of sight, which makes it a logical source of information and vehicle to perform nefarious or illegal activities. These conversations and activities may be relevant to Signal subscribers, hence the addition of Dark Web as a data source for Signal Gold subscribers. One of the benefits that Signal provides is the ability to review the dark web post content (text only) without needing to utilize a Tor browser – simply review the content from within your Signal browser session. Signal Spotlight provides a real-time overview of the emotional state of Signal search results. Using Signal Spotlight, Signal users can better understand the prevalence and drivers of emotions and what is happening in real-time. Spotlight taps into the results from Signal search criteria across many data sources to better understand the prevalence and drivers of emotions. For example during an incident or event, an important attribute is how people are feeling about what has happened and how the emotional state may be changing real-time as that incident/event unfolds. The Spotlight underlying technology uses a large vocabulary of emotion terms that were compiled from multiple sources, including the ANEW and LIWC corpora, and a list of moods from LiveJournal. In addition a crowdsourcing task was run to organise these terms against Parrott's hierarchy of emotions. The emotions are colour-coded using a dataset of affective norms provided by the Center for Reading Research at Ghent University. Spotlight leverages technology and research undertaken by the Language and Social Computing team in the Digital Economy Programme of CSIRO's Digital Productivity Flagship and originally developed as a joint project between computer scientists at CSIRO and mental health researchers at The Black Dog Institute. Milne, D., Paris, C., Christensen, H., Batterham, P. and O'Dea, B. (2015) We Feel: Taking the emotional pulse of the world. In the Proceedings of the 19th Triennial Congress of the International Ergonomics Association (IEA 2015), Melbourne, Victoria, Australia, August 2015. When catastrophic events strike, emergency services are seeing a growing reliance on social media by those affected. Citizens are going online to ask for help, mark themselves as safe and support relief efforts. When Hurricane Harvey struck Texas at the end of August 2017, due to the scale of the disaster, traditional tools were unable to cope. Although unprecedented in modern history, the impact of Harvey shows that agencies need to recognize the importance of channels like social media. With our analysis, we have pinpointed aspects that occurred during the event. Post-event recovery is another area where additional situational awareness can be gained ... but that’s a topic for another blog. Read on for all the information we gathered in infographic format. It’s no secret social media is now a key source of intelligence for corporate security professionals. But with so many social media monitoring tools to choose from; departments can easily end up choosing software that hasn’t been developed with their needs in mind, i.e. social media monitoring software built for marketing purposes. This poor choice often impacts efficiency, results and ultimately hurts the bottom line and, in some cases, employees. Here are 5 tell-tale signs that’ll help you work out if the social media monitoring tool your corporate security department uses, needs an overhaul. News travels fast these days. Some call it “the speed of internet”. What this means is, everyone and anyone with an internet connection can learn about and/or spread the breaking news happening at your corporation. This increases the chance of staff members finding out things before your corporate security department does. Especially when it’s happening in a retail store or near the event your CEO is speaking at. Corporate security departments using operationally focused social media monitoring tools give themselves a better chance of being in the “first to know” camp. Lack of awareness can linger long past the date something occurred (especially for potentially threats that haven’t developed fully). When regular reports are missing developed or developing threats, that are already known to senior executives (whose lives and lively hoods depend on it), it may result in a loss of confidence from the executive team. Even when the corporate security department think they are being as effective as possible. The wrong tooling might provide you with what looks like the most relevant and timely information, but you’re often missing the complete picture. The right tooling, developed specifically for protecting executives, assets and supply chains, often provides more advanced/targeted search capabilities, e.g. Boolean search, than typical marketing related tools - where the focus is on brand and reputation management as well as social engagement. Further to point 1. above, if your team is unaware of a threat, or simply hear about it too late, this can have a flow on effect and impact the overall incident response time. Potentially putting the safety of staff and executives at risk, impacting “Duty of Care” responsibilities and even losing revenue or impacting costs. Having the right monitoring tool often means you can plan ahead (building out a calendar of events to monitor), giving you a better chance of being the “first to know” and therefore speeding up incident response times. You guessed it! Catching threats early can keep small incidents… Well, small. Saving you and your team from troublesome bigger incidents in the future. So, how does Social Media come into this? Sometimes the earliest signals come from the most unusual sources. Social Media, if used with the right monitoring software, can act as an early warning system for you and your team. It can even supply this early intelligence directly to your phone via SMS or email so you are always on top of new incident’s. If you’re the Head of Corporate Security and you can’t understand why your team never seems to be prepared for events such as executive travel and retail store/office openings. It could be a sign they need to move to operationally focused social media monitoring software where they can plan ahead and schedule monitoring at certain locations over certain dates, times or seasons. This not only instils a more active team culture, it’ll also reduce stress and allows your team to be in a better frame of mind when things really matter. Just three years ago there was very little in the way of social media monitoring software tailored for corporate security professionals. Early adopters persevered, as a stop gap, with tools designed for marketers. And, most importantly, tools have been created specifically for corporate security professionals to make use to this free intelligence source. The question is: Are you already making the most of these new tools or is it time to make the shift? Long gone are the days of relying on traditional sources of intelligence on the front line of a disaster - phone calls, emails sent from laptops, even SMS messages. In today’s world of the Internet, Smartphone and Social Media there is an intelligence source in the hands of almost every citizen. This abundance of intelligence has been highlighted no more so than during the 2017 Chilean wildfires. 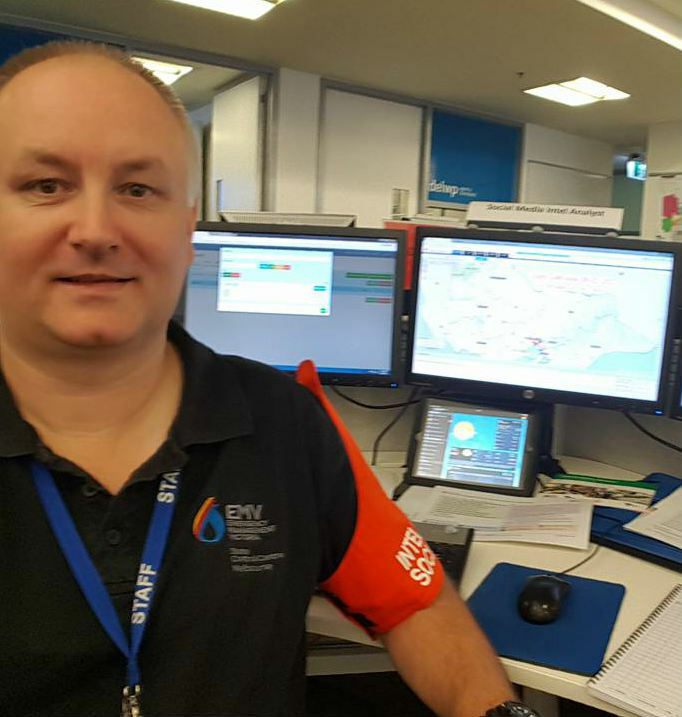 With the fires covering such a vast land mass and in such a short period of time, emergency response teams needed a free and fast flow of intelligence to help protect towns - saving lives and property. The photos and videos posted on Social Media provide enhanced situational awareness to emergency response teams. This level of insight was near on impossible to generate or acquire before the rise of social networks. Photos often tell a better story, especially in a wildfire. 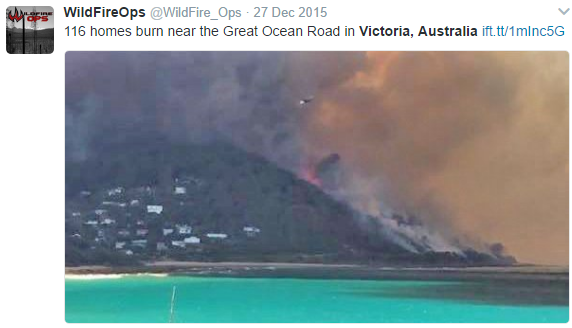 The size of flames, what’s on fire, where fires are and how accessible they might be are just some of the reasons photos shared on Twitter and Instagram are such a useful source of intelligence. Here are some different ways emergency response teams can use photos to enhance their situational awareness during a wildfire. Tracking images using Geo location data (which is available on some social media networks) can not only help identify new areas where fire is spreading but also areas where fires have restarted. 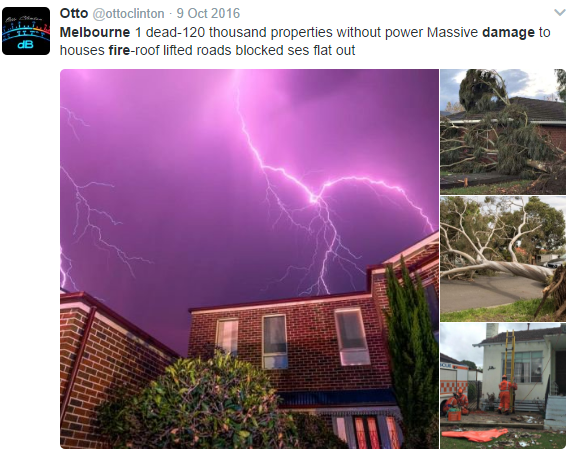 Photos often include people and when emergency services turn up, it’s usually a time when citizens start taking snaps. This makes it easy for command centers to know when teams are at the scene and sometimes the potential issues they may be facing. Bystanders may take pictures of injured people being helped by other civilians. This can act as an alert to deploy medical staff. Or if medical staff are already at the scene it may help identify if enough have been deployed. 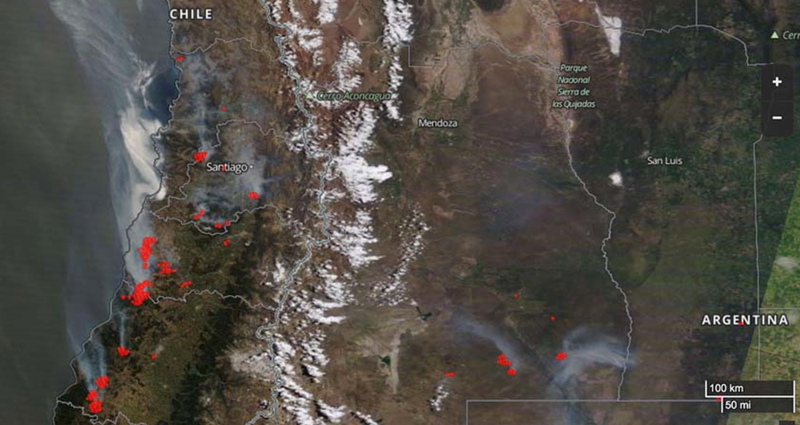 Imagery from media stations is often a good source in helping determine the size and scale of a wildfire. Helicopters and drones provide a unique point of view. While photos at ground level can help complete the picture for emergency teams. When wildfires start encroaching on built up areas images posted on social media can provide early warning signs that the fire may be spreading into communities or across roads and railway tracks. As you can see, if you're an emergency management professional, you should be using the images freely available on social media to help aid your efforts during a wildfire (and other emergencies), giving you a better chance of preventing further damage and protecting the public.